A lack of resources prevented security services from intercepting the 7 July London bombers, a key report has said. Two of the four bombers were known to security officers but the threat they posed was not realised. But it was "understandable" the pair had not been investigated more fully, the committee of MPs concluded. Home Secretary John Reid insisted there would be no public inquiry, as he gave the government's long-awaited account of the bombings to the Commons. But politicians and relatives of the 52 people killed in the 2005 attack have renewed their calls for a full independent inquiry. Shadow home secretary David Davis said both reports had "left too many questions unresolved". Mr Reid detailed the events of 7 July to the Commons, saying the whole operation to launch four separate attacks on London's transport system cost the bombers less than £8,000. He said the bombers' motivation was "fierce antagonism to perceived injustices by the West against Muslims" and a desire for martyrdom. Meanwhile the MPs' report said the security services had come across 30-year-old Mohammad Sidique Khan and fellow bomber Shehzad Tanweer, 22, while they were investigating other cases. 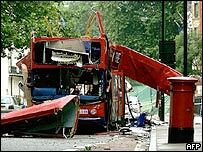 They also discovered after the attacks that they had a phone number for Russell Square bomber Germaine Lindsay, 19, on their files. 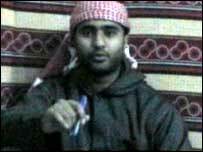 Khan and Tanweer had been observed in Pakistan, where it was "likely that they had some contact with al-Qaeda figures". "If more resources had been in place sooner the chances of preventing the July attacks could have increased," the report stated. "Greater coverage in Pakistan, or more resources generally in the UK, might have alerted the agencies to the intentions of the 7 July group." But the Intelligence and Security Committee conceded there were "more pressing priorities" at the time, including the need to disrupt known plans to attack the UK. "It was decided not to investigate [Khan and Tanweer] further or seek to identify them," said the report, adding that this decision was "understandable". BBC security correspondent Frank Gardner said the security services were still "absolutely gutted" they did not manage to prevent the bombings. But they still maintained they may never have intercepted Khan, even if they had continued to pursue him, because he may not have "shown his hand". "He was actually very clever at covering his tracks. He posed as Sid the school assistant and nobody actually knew around him that he was planning mass murder," our correspondent said. He said security officials had since made changes, such as setting up regional offices around the UK and working more closely with local police. On the issue of resources, MI5 estimated there were about 800 pro-al-Qaeda suspects with the potential to turn violent at the time of the 2005 bombings - a figure which has since risen to about 1,000. It takes "dozens" of people to monitor one suspect and MI5 did not have the manpower to cope, said Frank Gardner. Mr Reid told the BBC counter-terrorism funding had doubled since 2001 but there was a "bottleneck" in training MI5 staff. The extra funding had enabled "many, many more operations, far greater surveillance with a greater number of people in greater depth", he told Radio Four's PM programme. But he said it took time to train people up and vet them. The Treasury has said that the security services received all the resources they had asked for in the 2004 Spending Review. The MPs said the chances of uncovering the bombers' plans might have been greater had different decisions been taken by the service between 2003 and 2005. And they suggested a Joint Intelligence Committee judgement in June 2005 that suicide attacks would not become the norm in Europe "could have had an impact on the alertness of the authorities". In a further recommendation, the MPs' report said it was "not unreasonable" to reduce the threat level to the UK in May 2005 from "severe general" to "substantial". It said the reduction was "unlikely" to have affected the chances of preventing the attacks. But it said there should be simpler and more transparent threat level and alert state systems, with "more thought" given to what the public is told, which the Home Office has accepted. Despite lacking the funding to tackle Khan and Tanweer, the report revealed how three terrorist plots had been thwarted since 7 July. The security services have discounted theories a terror mastermind fled Britain shortly before the attacks, or that there was a fifth or further bomber. And there was currently no evidence of direct links between the 7 July attacks and those involved and the incidents on 21 July, the report said. The MPs expressed concern that more was not done sooner to tackle the development of "the home-grown threat". They said they were still concerned that the "radicalisation of British citizens" was not fully understood. The report added the conflict in Iraq continued "to act as motivation and a focus of a range of terrorist related activity in the UK". Survivor Rachel North told the BBC News website she was "staggered" there would be no public inquiry. "I am not surprised that the politicians and security services have examined their work in secret and subsequently found themselves not to blame. "It is the public - not the spooks or politicians - who walk the streets, take the buses and tubes each day, and wonder what risks they run." The home secretary said he intended to meet family members of those who died. Mr Reid has also suggested in a BBC interview that compensation deals for survivors and victims' relatives could be changed retrospectively, following a review of the criminal injuries compensation scheme. He said such changes would not usually be applied retrospectively but that the events of 7 July were "exceptional". He added that he hoped to make an announcement on the issue shortly. Culture Secretary Tessa Jowell has said an announcement about private and public events organised to mark the first anniversary of the attack will be made next week.